The Indishare.com rewards program offer to you with the perfect opportunity to earn money by sharing your own files with your friends or familly . 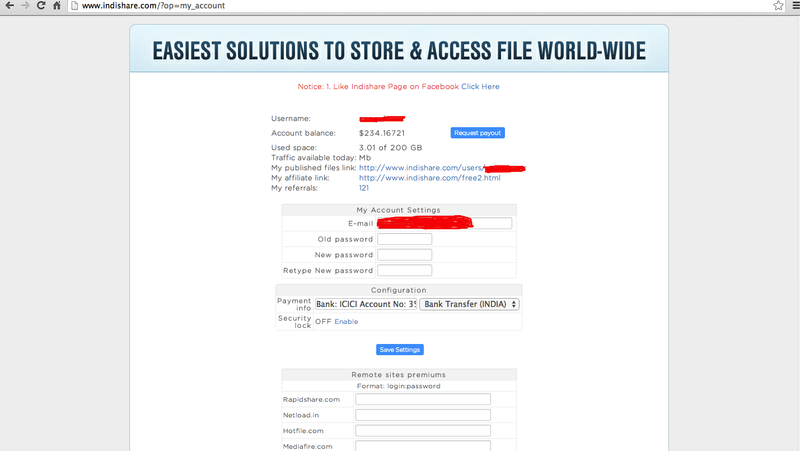 There are no restrictions for any country - anyone can download using our free system. First of all you need to Register on indishare.com. You can register from this link Sign Up Here. User name, E mail & Password Section is Mandatory. Payment Info and Coupon code Section is optional. You can leave blank Payment Info and Coupon code section. After registration upload your 1st file at indishare.com. Remember one thing Indishare pays only more than 5 mb file so upload file more than 1 Mb file. 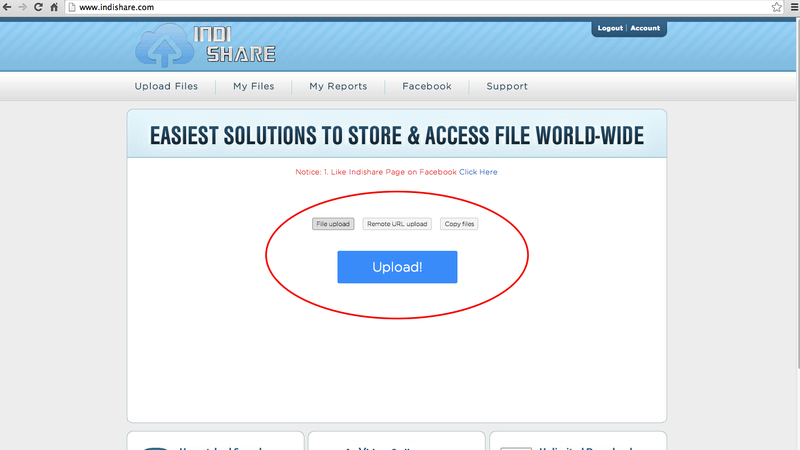 Indishare Provide 3 methods to upload files. After upload file copy file link and share on social networks like facebook, google plus, twitter. You can palace file link on your website. More people download your file more you earn more money. You can check your earning in Account section in right corner of website. You can use Indishare My Account Link here. Withdraw your earned money from Request Payout Link. Indishare use Paypal, Payza, Netteler & Bank Transfer (India) methods for Money Withdraw. Your Website is not opening! Why my file have download but no money go up? This is a Good Content. Finally I have shared it on my Facebook profile. Do you know When will the SSC Result 2016 Publish?